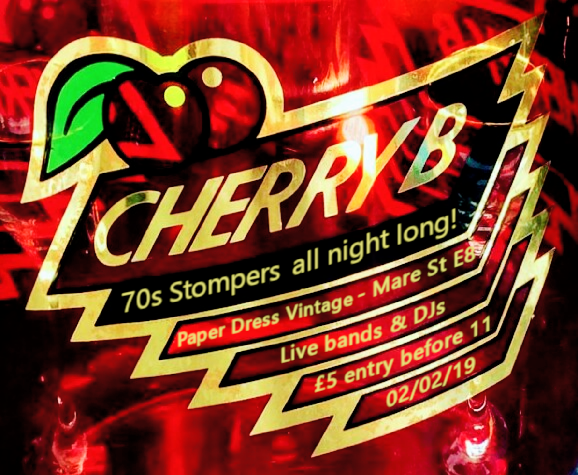 CHERRY B – a new club night by Oli Paget-Moon & Jordan Cook (Telegram) resurrected for the first time at Paper Dress Vintage with a shimmering live line-up featuring The Eskimo Chain, Protection Spells, Dammit I’m Mad (all the way over from Sweden) and brand new band Shacma to open things up! A unique mix of agitated, tumultuous Art Rock and experimental song arrangement with influences from psychedelia, lo-fi, ambient shoegaze, 90s alternative rock and soundtrack music. Shacma play brain frying improvised psychedelic funk like Band of Gypsys jamming with Can. Polyrhythmic drumming, blusey keyboard, funk bass and tidal waves of noise guitar.